The NAME program has strong ties to industry locally, nationally, and internationally. Industry engagement ranges from program/curriculum development, to teaching and mentoring students, to internship partnerships. British Columbia Ferry Services Inc., or BC Ferries, is known for safety, spectacular scenery and a proud maritime history. What began in 1960 as a two vessel, two terminal operation has grown into one of the largest, most sophisticated ferry transportation systems in the world, with 35 vessels and up to 47 ports of call. BCIT is one of the only institutions in Canada other than UBC that offers professional training for the maritime industry. They offer courses and programs in Navigation, Marine Engineering, Seamanship, Maritime Security, and Nautical Science, and boast a state-of-the-art marine simulation centre. Located in North Vancouver, BC, Capilano Maritime Design Ltd. offers naval architecture, marine survey, and marine engineering design services. The company's focus is on providing engineering services for projects involving all manner of workboats including tugs, barges, crewboats, marine construction vessels, and ferries. Founded in 1760 as a marine classification society, LR now operates across many industry sectors, with over 9,000 employees based in 78 countries. Lloyd's Register has a long-standing reputation for integrity, impartiality and technical excellence. Their compliance, risk and technical consultancy services give clients confidence that their assets and businesses are safe, sustainable and dependable. Robert Allan Ltd. is Canada's most senior consulting naval architectural firm, established in Vancouver, B.C. in 1930. The company has earned an international reputation for innovative, successful designs for a wide range of ships and has been a leader in creating cost-efficient vessels for service in the marine transportation industry. They have designed hundreds of vessels of almost all types, from small fishing boats to ocean-going ferries, and they provide independent professional marine consulting and design services to a worldwide client base, supported by the latest in computer-aided design technology. Ron Holland is the world's leading yacht designer and creator of a new generation of 100ft plus performance superyachts. His studio is based in Vancouver, but his client base is international, and he regularly travels the globe for a variety of projects. Ron Holland has created some of the fastest, most luxurious, and stunning yachts on the water--boats with ultra-modern technologies and just the right touch of tradition. Maritime Forces Pacific (MARPAC) is the Pacific formation of the Royal Canadian Navy. MARPAC is headquartered at Canadian Forces Base (CFB) Esquimalt and provides maritime security in the North Pacific region. MARPAC tracks all ships in the designated area of responsibility and defends the unimpeded use of the seas - protecting the right to innocent passage of lawful commerce. The maritime security provided by MARPAC is vital to Canada’s physical and economic safety as a maritime nation bounded by three of the world’s oceans. MARPAC is home to the 13 ships and two submarines of Canadian Fleet Pacific (CANFLTPAC). With the support of Her Majesty’s Canadian Dockyard, the Pacific Fleet generates and operates balanced, multi-purpose maritime forces to support domestic and international Canadian security operations. The scope of Seaspan’s services, the quality of its employees and over a century of successful participation in coastal commerce, make the company a major partner in the economy of the Pacific Northwest. 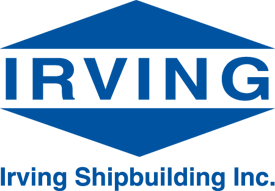 The mission of the Society of Naval Architects and Marine Engineers is to advance the art, science and practice of naval architecture, marine engineering, ocean engineering and other marine-related professions. Established in 1973, Teekay has developed from a regional shipping company into one of the world’s largest marine energy transportation, storage and production companies. Teekay brings energy where it is needed to power the global economy and to improve people’s lives. Vard Marine Inc. is a ship design and marine engineering company located in Vancouver, BC, that provides solutions for offshore and specialized vessels such as offshore support, subsea construction and naval vessels as well as ferries and passenger vessels. Vard Marine is a subsidiary of VARD, headquartered in Norway. Building on VARD’s unique expertise designing, constructing and developing integrated solutions for highly customized vessels, Vard Marine aims to grow to a leading position in the North American market. 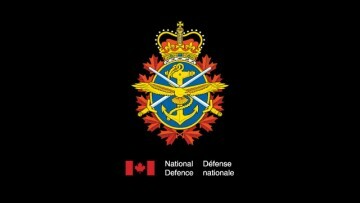 The Department of National Defence (DND) and the Canadian Armed Forces (CAF) are together the largest federal government department. DND/CAF share a unique relationship in the Government of Canada as the only department where military members work alongside civilians (non-military members). The Defence Team is comprised of over 100,000 employees. As a full service firm, Elliott Bay Design Group combines naval architecture and marine engineering capabilities with analytical and design skills to deliver comprehensive solutions. Products are designed and engineered to meet each client’s specific needs. EBDG has three offices: Seattle, New Orleans and Ketchikan. Fednav is Canada's largest ocean-going, dry-bulk, ship-owning and chartering group. For 70 years, the company has been delivering practical, innovative maritime transportation solutions as a pioneer in the international shipping industry. With offices on four continents and a reputation built on a commitment to customer care and reliability, Fednav is the leader in international shipping on the Great Lakes, as well as the Canadian Arctic, boasting the world’s largest fleet of ice-class bulk carriers. Founded in 2013 in Canada, Ionada develops, manufactures, and markets Membrane Scrubber systems for the marine and power generation industries. Ionada's team includes international scientists, engineers and technicians that have developed breakthroughs in membrane technologies for emission reductions. Located on the East Coast of Canada, Irving Shipbuilding Inc. (ISI) provides world-class shipbuilding and repair, drill rig construction and conversion, offshore fabrication, industrial manufacturing, engineering, supply chain management and quality and technical services. ISI has its primary office at the Halifax Shipyard with other locations in the Maritime Provinces. The company has been building, repairing and refitting quality vessels and fabricated modules for over 50 years. During that time, they have successfully served a wide range industries around the globe including navy, coast guard, oil and gas, petrochemical, power generation, pulp and paper, transportation, mining and related heavy industries. L3 MAPPS is a leading global supplier of control and simulation solutions for the marine, power generation and space sectors. Headquartered in Montréal, Canada, L3 MAPPS has operating units located in the United States, the United Kingdom, India and Malaysia. Mavi is a renewable energy company building cross-flow hydrokinetic turbines that convert energy from tidal and river currents into clean and predictable power. Their turbine units are designed for remote off-grid applications as well as for grid-connected coastal communities. Mavi also provides expert engineering services in CFD, solid mechanics, advanced analysis, intrumentation, mechanical design and field testing. The company provides valuable support at any stage of a project, from initial conception through to failure analysis and life extension. As a clean tech company, Mavi is keen to lead and support the growth of the renewable energy industry. MetalCraft is a leader in the design and manufacture of custom aluminum boats for the government and commercial markets. Their greatest area of success has been designing and building high speed Patrol and Search & Rescue craft. They recently built eight specialty tow boats for the U.S. Navy and a 36' pilot boat for the New York State Pilots Association. Seabridge Marine Services Ltd provides innovative and economic solutions to the Marine Industry worldwide, from dry transporting some of the largest structures in the world to providing a mobile dry docking service. Transport Canada works with its portfolio partners, other government departments and jurisdictions, and industry to ensure that all parts of Canada's transportation system work well. Transport Canada employs 4,700 people at its headquarters and in five regional offices across the country. Wainbee Limited was established in 1957 as a manufacturer's agent and industrial distributor. The Company has grown to become one of Canada's leading providers of technical and supply chain solutions for automation and control with over 200 employees in 15 locations across Canada. Their products and services are specialized, based on representing a limited number of closely associated technologies, while at the same time providing good geographical coverage of Canada's industry. Their organization combines modern business management with continuity, sales, supply chain and engineering skills, and financial integrity. Zodiac Milpro is the global leader for military and professional RIBs and inflatables. The company is built upon a commitment to meeting the needs of military or civil customers anywhere in the world.